34590 MANGUETA DEL. La herramienta gratuita para publicar anuncios. Código interno: 205875. Amortiguador delantero derecho DAEWOO MATIZ 0.8, Año: 2001. Wir können es überprüfen. Nous pouvons le vérifier. NOTE: ALWAYS FIT BOTH SIDES FOR BEST RIDE HEIGHT. We will work to resolve any issues and assist in anyway that we can. Reference OE/OEM Number 95299742. Reference OE/OEM Number 96591237. Manufacturer Part Number Does Not Apply. EAN Does not apply. DAEWOO MATIZ (KLYA) 0.8. DAEWOO - MATIZ (KLYA) - 0.8. DAEWOO - MATIZ (KLYA) - 1.0. KIT AMMORTIZZATORI. ADATTABILITA' DEL KIT SUL VOSTRO VEICOLO. Ricambi autovetture. Inoltre disponiamo di una vasta gamma di Marche per. GM PART NUMBER: 96342033. GENUINE GM DAEWOO CHEVROLET PART. TO FIT: CHEVROLET MATIX, SPARK (M100) EUR & GEN. ACTUAL ITEM IN PHOTO. AND WE WILL HAPPILY CHECK FOR YOU. Mk1 1.0 Petrol Manual 5 Door. Your item will need to be signed for. Compatibility is a guide only. Part Number. Type with out abs. Other Details. TRIM LEVEL. MK1 FaceLift 1.0 Petrol 5Speed. This part was removed from a Right Hand Drive Vehicle. Compatibility is a guide only. Your item will need to be signed for. Part Number. In good working order, type with out abs fitted. Shock Absorber Mounting Type : Top eye, Bottom eye. Shock Absorber. Shock Absorber System : Twin-Tube. 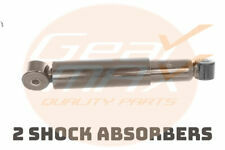 Shock Absorber Type : Gas Pressure. Fitting Position: Rear. P.IVA 04115150718. Via delle rose,24 CARAPELLE -71041- (FOGGIA). CARDAUTO di Cardillo Marco. Banca: MONTE DEI PASCHI DI SIENA. IBAN: IT38V0103078510000002970369. Beneficiario: Cardillo Marco. whats app: 3392101118. 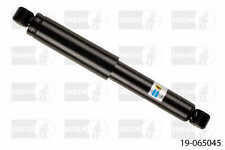 2x Daewoo Matiz 0.8 1.0 Front Left & Right Shock Absorbers 1998->. Shock Absorber. Shock Absorber Type Oil Pressure. Shock Absorber Design Suspension Strut. Shock Absorber Mounting Type. MATIZ TUTTI I TIPI (1997 >). 2PZ AMMORTIZZATORI ANTERIORI. 76015 Trinitapoli (BT). via Firenze, 33. DFG RICAMBI di De Felice Giacinto. Shock Absorber. Shock Absorber Mounting Type : Top eye, Bottom eye. 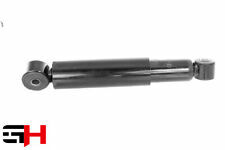 Shock Absorber Type : Gas Pressure. Shock Absorber System : Twin-Tube. Fitting Position: Rear. Shock Absorber. Shock Absorber Design : Suspension Strut. Shock Absorber Type : Gas Pressure. Shock Absorber System : Twin-Tube. Fitting Position: Front Axle Right. EAN Does not apply. Manufacturer Part Number Does Not Apply. Other Part Number for vehicles with standard chassis. 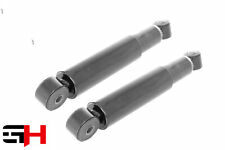 2x DAEWOO MATIZ KLYA 0.8 1.0 Rear Left & Right Shock Absorbers 1998->. Shock Absorber. CHEVROLET-DAEWOO MATIZ (KLYA). VEMA 51142. COPPIA MOLLE A GAS VEMA. Regole sulla restituzione. corriere espresso GLS. CHEVROLET-DAEWOO MATIZ SPARK. VEMA 51292. COPPIA MOLLE A GAS VEMA. Regole sulla restituzione. corriere espresso GLS. DAEWOO MATIZ..800 98->05. DAEWOO MATIZ.. Dai un'occhiata a tutte le altre mie inserzioni ! PER VERIFICARE LA DISPONIBILITA' DEL PRODOTTO. MK1 FaceLift 1.0 Petrol 5Speed. This part was removed from a Right Hand Drive Vehicle. Compatibility is a guide only. Your item will need to be signed for. In good working order, type with out abs fitted. 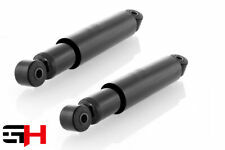 B RAND NEW BOXED : 2 X FRONT SHOCK ABSORBER SHOCKER SET ( LEFT RIGHT. NOTE : ALWAYS REPLACE BOTH SIDE FOR BEST RIDE HEIGHT. You are obliged to take reasonable care of the item. Full Vehicle Details. ). DAEWOO MATIZ 1998 - 2005. MAPCO FRONT SHOCK ABSORBER. DAEWOO MATIZ (2001-2005) 0.8 BENZINA 37.50KW 5P. AMMORTIZZATORE ANTERIORE SINISTRO. - per i Paesi Bassi: Isole Bes, Aruba, Curacao, Sint Maarten. - per la Francia: Guadalupa, Guyana Francese, Martinica, Riunione, Saint Barthélemy, Saint Martin. MATIZ TUTTI I TIPI (1997 - 2005). 76015 Trinitapoli (BT). via Firenze, 33. DFG RICAMBI di De Felice Giacinto. Shock Absorber. Shock Absorber Design : Suspension Strut. Shock Absorber Type : Gas Pressure. Shock Absorber System : Twin-Tube. Fitting Position: Front Axle. DAEWOO MATIZ 796 < abarcan clase = notranslate ' > 37.5 KW izquierda amortiguador trasero 96316781. Si está indicado, lo que funciona aquí era de catálogo no oficial. Cada problema es solucionable y estamos aquí para garantizar su satisfacción. DAEWOO MATIZ (KLYA) 0.8. DAEWOO MATIZ (KLYA) 1.0. Position sur le Véhicule : : Arriere - Droit/Gauche. Pression de gaz. - Le Numéro de Série (E.). - La date de 1ere immatriculation (B). - L'immatriculation du véhicule (A. )(Pour la France). Codice Prodotto: JGT295T. DAEWOO MATIZ (KLYA) 1.0 47kW dal 01-2003 al - [fino a anno[=>]12/2004]. DAEWOO[=>]96342033. DAEWOO[=>]96316781. INFORMAZIONI SUGLI AMMORTIZZATORI TRW. Gli ammortizzatori TRW sono realizzati senza tralasciare nulla.